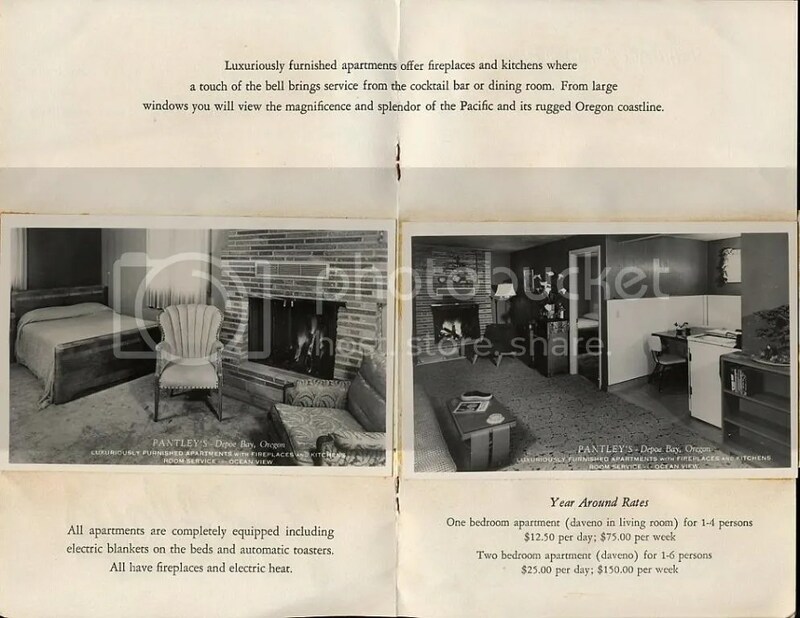 Luxuriously furnished apartments offer fireplaces and kitchens where a touch of the bell brings service from the cocktail bar or dining room. From large windows you will view the magnificence and splendor of the Pacific and its rugged Oregon coastline. Beautiful PAGAN HUT open daily year around. Heated, glass-enclosed swimming pool. Pantley’s opened sometime in the 1950s. 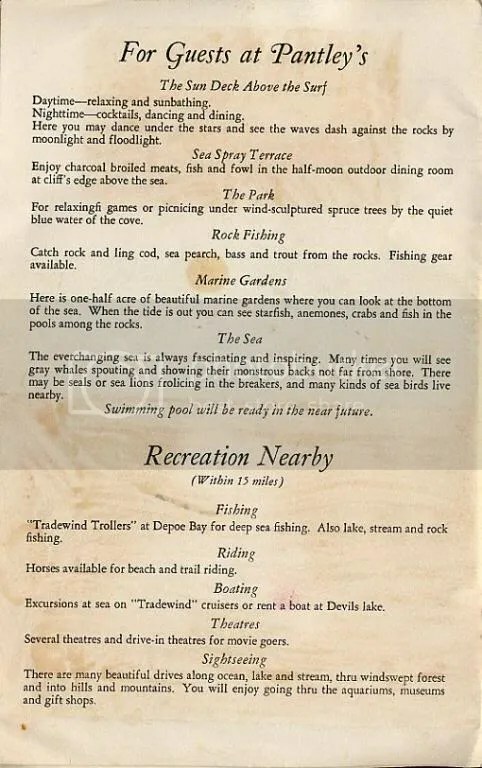 It was originally known as King Surf Resort and the Tiki Room was known as the Pupule Lanai. Robert Pantley purchased the property sometime before or around 1956. 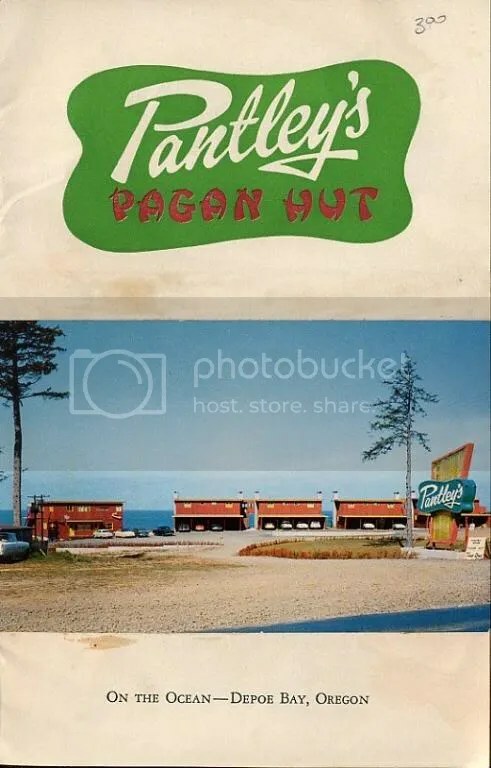 I am not totally sure it wasn’t called King Surf Resort for a while and the tiki restaurant was Pantley’s Pagan Hut before it was all changed. 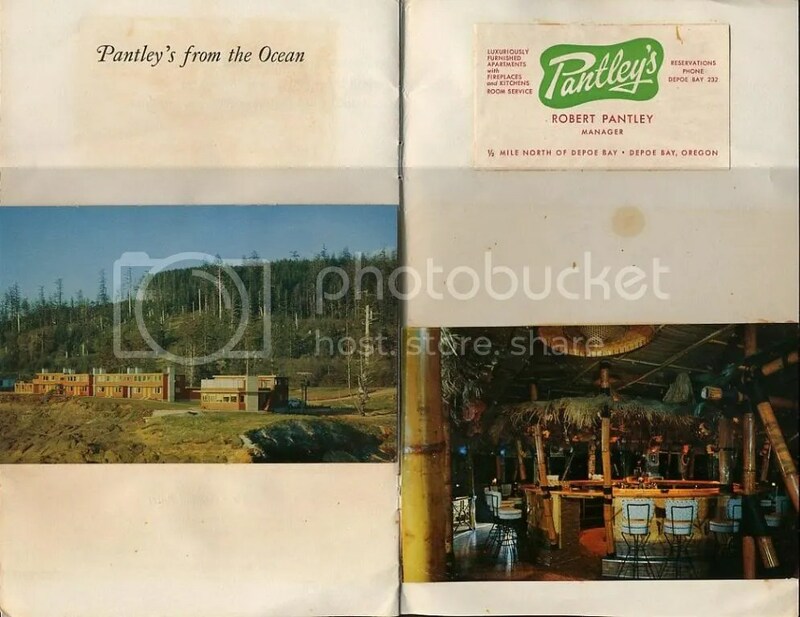 Pantley’s Pagan Hut was known for its tiki decor and its nightly entertainment. Opcelita & Garcia, the “Latin American Hot Peppers” and Roberto & his native drums were but two of the acts that performed at Pantley’s. 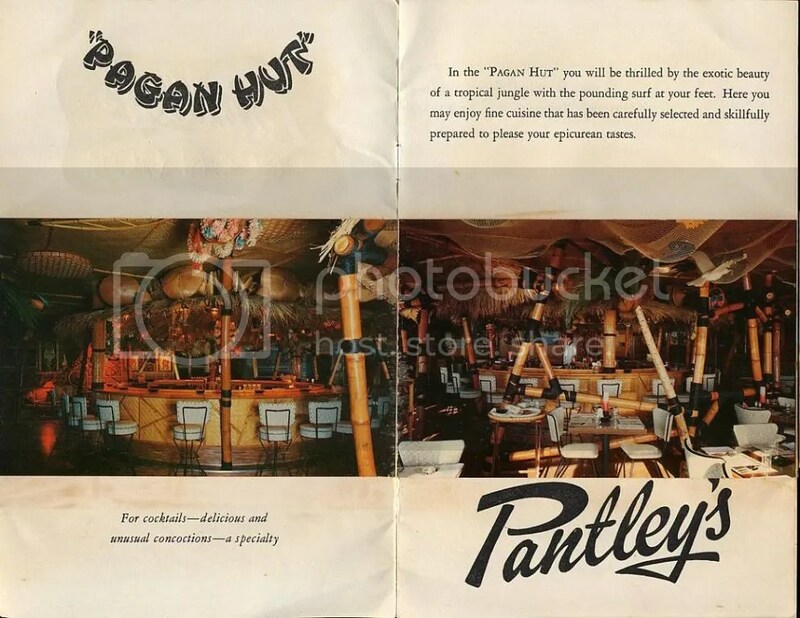 There was another Pantley’s Pagan Hut in downtown Portland, Oregon at SW 10th and Stark. Robert Pantley was no longer president in 1962 when he plead guilty to a charge of failing to file excise taxes in 1956. Pantley, then 54 years old, was sentenced to one year in prison and fined $5,000. The Pagan Hut lasted in to the early-mid 1960s. It then became known as known as the Surfpoint Inn. The Surfpoint seemed to run in to some trouble. In December, 1968, the tide came so far inland that it smashed the property windows and flooded the dining room. In October, 1977, the property was seriously damaged by a series of storms that hit the Oregon Coast. The article I found in the November 6, 1977 Salem, Oregon says that the damage was well over $30,000 and that it was the second time in a week that water had come in to the lounge. I can’t find any information after that. BONUS: Pagan Hut drink menu courtesy of Critiki.